Update: February meeting canceled due to winter storm warning for the region. We’re working on setting up our next meeting for Thursday, 3/18/10. Watch here for more details. February’s meeting of the Finger Lakes Chapter of the Academy of Wine Communications will be held on Thursday, February 25, 2010 at Three Brothers Wineries & Estates at Stoney Lonesome Wine Cellars on Seneca Lake, 623 Lerch Road in Geneva, NY. The meeting will be held from 10:00 AM-12:30 PM with breakfast provided by Three Brothers Wineries & Estates. Attendees: feel free to bring a bottle to share during the meeting and RSVP for new members is greatly appreciated ASAP to Melissa Dobson at (917) 816-5424 or melissa.dobson@avantguild.com. If you haven’t joined us yet, check us out. 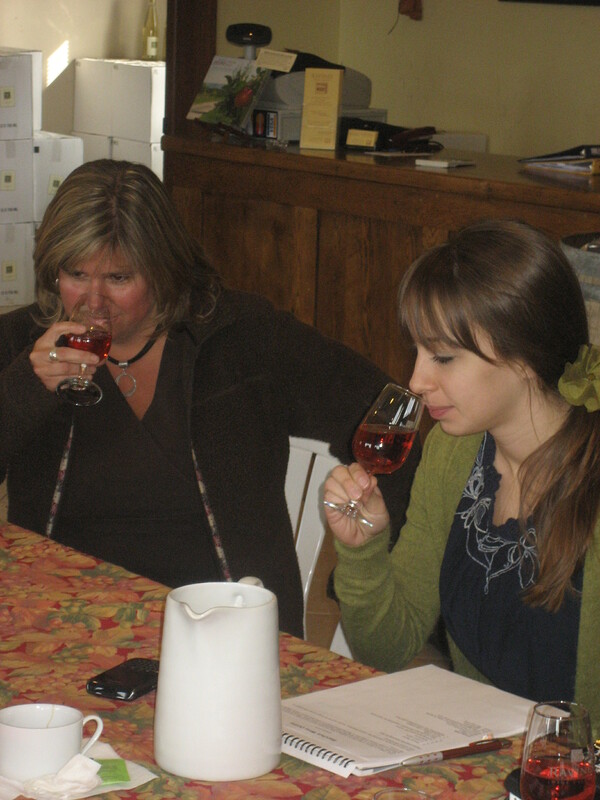 Wineries and wine marketing groups that have attended include: Heron Hill Winery, Splash The Finger Lakes, Finger Lakes Tourism Alliance, Damiani Wine Cellars, Ravines Wine Cellars, Finger Lakes Wine Country Tourism Marketing Association, Anthony Road Wine Company, Three Brothers Wineries & Estates, Sheldrake Point Vineyard and Cafe, Red Newt Cellars, Rooster Hill Vineyards, Shaw Vineyard and New York Wine & Culinary Center. Bring a favorite bottle and your notebook, it’s a great excuse to get out and talk wine marketing over a glass of vino with Finger Lakes winery owners and marketers. See you there! First I must apologize for missing a couple of weeks of my Cheers! updates. As a new solopreneur, (solo entrepreneur) I’m still navigating just how to keep my passion for making Melissa Dobson PR & Marketing a successful and resourceful business in line with my personal time with my husband and the rest of my family and friends. One of the reasons I created a home-based business is because I found that what makes Rich and I happy is to have me attend to appointments, errands and packing lunch for him and cooking dinner most nights along with creating a viable business promoting an industry that I truly love. Anyway, I’m still learning how to manage it all. And I have you to thank for keeping me busy with new challenges and projects. I feel very lucky for being embraced by my local wine community here in the Finger Lakes as well as by my group of wine-loving, wine-blogging friends throughout the country. Thank you! Ravines Wine Cellars, Fox Run Vineyards, Anthony Road Wine Company, Shaw Vineyard and Standing Stone Vineyards all impressed for their own reasons as outlined in the posts. 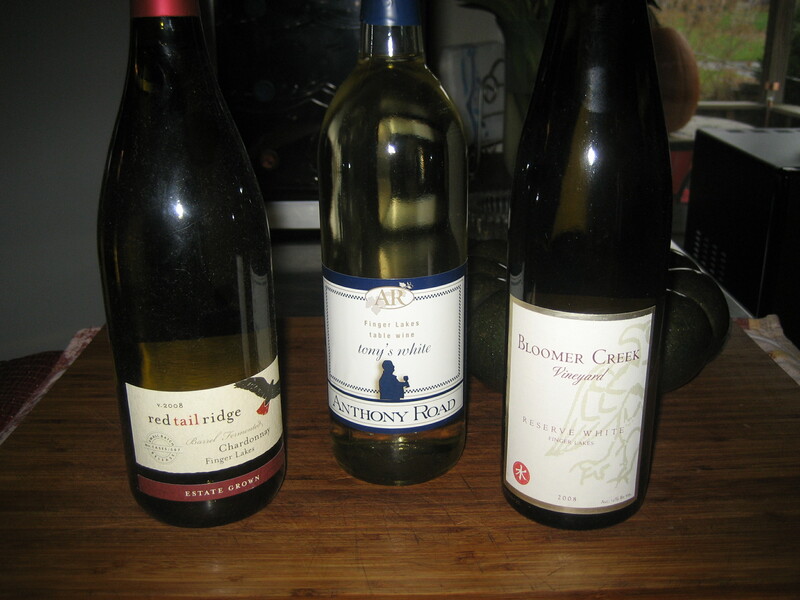 These are exciting times for the Finger Lakes wine region. 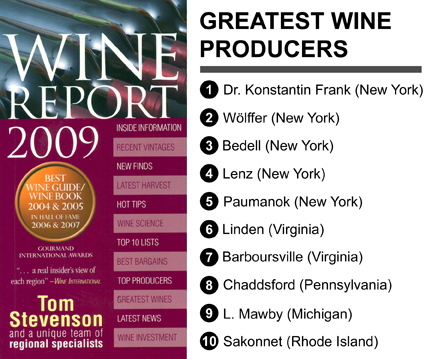 On that note, Dr. Konstantin Frank’s Vinifera Wine Cellars has been named the greatest wine producer in the Atlantic Northeast region for the fifth year in a row. Five of the ten producers listed are from New York State.